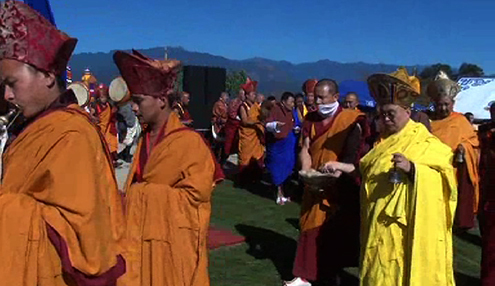 His Holiness the Je-Khenpo consecrated the newly reconstructed Chhokor Thaling Goenpa in Punakha, yesterday. The Goenpa, located in Phulusum Chiwog, under Guma Gewog was built in 2002 and was destroyed by an earthquake in 2011. 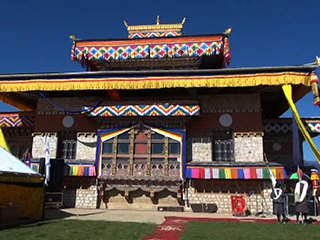 The new lhakhang was built on the same site where the old one stood. The construction was initiated by Bumdey Lobey Daw Gyeltshen. It was funded by interested individual from all walks of life. The government had also supported the move. It was built at the cost of over Nu.7 MN. The Goenpa is expected to serve as a meditation center in future.